Winnetka Animal Hospital is proud to help our patients through the stressful illness of cancer and the chemotherapy process. 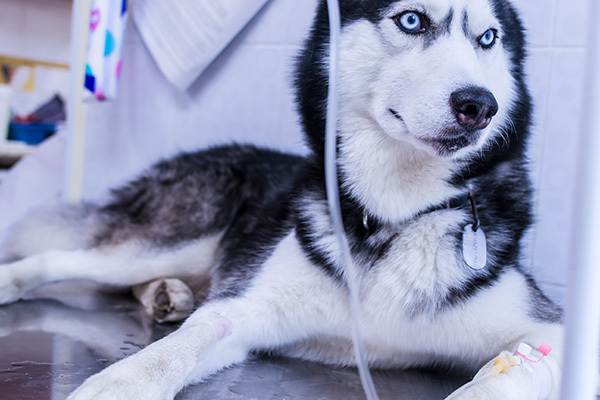 In most cases, the fear that your pet will spend its final days sick from the chemotherapy treatment is ungrounded. The chemotherapy will attack the cell growth and division of the cancer growth within your pet. The dangerous cells that were once rapidly growing will be suppressed and unable to renew themselves. While the chemotherapy does affect both healthy and cancerous cells, the healthy tissues are able to grow and repair once the chemotherapy process is discontinued. There are several options in which chemotherapy may be used. Whether chemotherapy is the primary treatment or is being used in combination with surgery or radiation, Winnetka Animal Hospital has a trained veterinary oncologist on staff at all times. Each diagnosis is unique, which calls for an individual treatment plan. Our team is here to work with you in discussing the benefits of each plan and making an informed decision about the future of your pet.